In 2012 Siemens obtained a contract to build and maintain 20 Desiro Class 350 electric multiple units for First TransPennine Express. The project required the modification of Ardwick Depot to facilitate the Class 350 units, while retaining the capability to service and maintain the existing Class 185 fleet, and subsequent 25kV electrification of the site including new OLE. 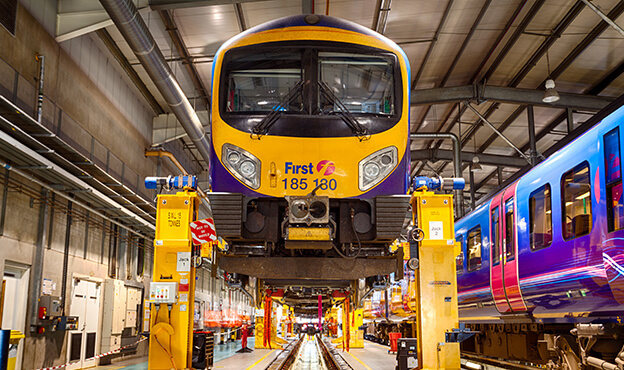 Spencer Group was required to modify the depot while retaining the capability to service and maintain the existing Class 185 fleet. The main bulk of the work was to the depot power supply, where Spencer carried out the 25Kv electrification of the Ardwick site including new substation and OLE. 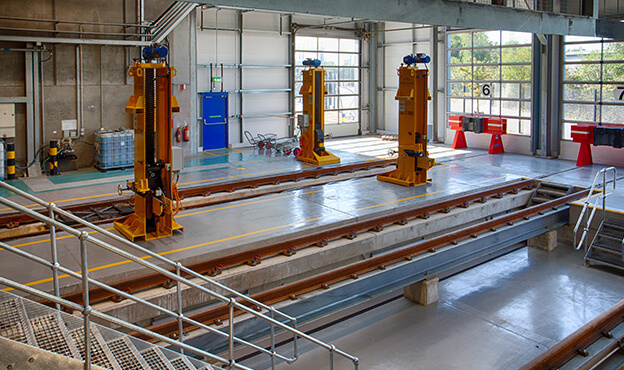 We also extended the facility via the extension of the Maintenance Facility Building to accommodate the longer 4-car Class 350 Units, and carried out ancillary works in the form of additional works to maintain and service the new EMUs, in accordance with Siemens maintenance requirements, and created new internal building secondary steelwork and flooring at mezzanine level access. We extended the CET and fuelling facility, apron slabs and modified the equipment for the longer trains. We also installed new shore supplies. In spite of the tight deadline of less than a year, Spencer Group maintained our usual exemplary quality standards of work. The project was carried out, as usual, with the highest regard for the safety and security of works and civilians, and feedback from the client was extremely positive. 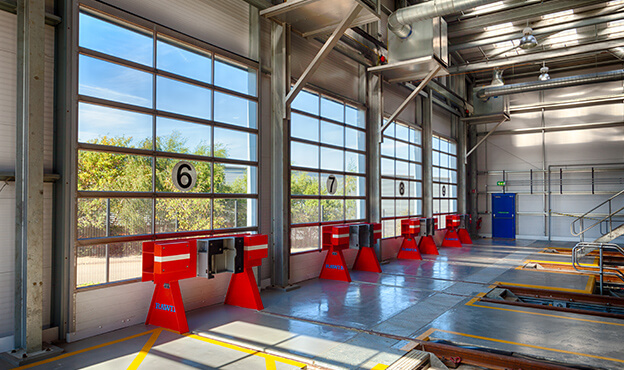 The depot and maintenance shed remained operational throughout the works, demonstrating full collaboration at its best between Siemens and Spencer Group. Once completed, the depot upgrade was ceremonially opened by Lucy Powell (MP) on 27th September 2013, with the first of the class 350/4 trains arriving at the depot on 28th November 2013.